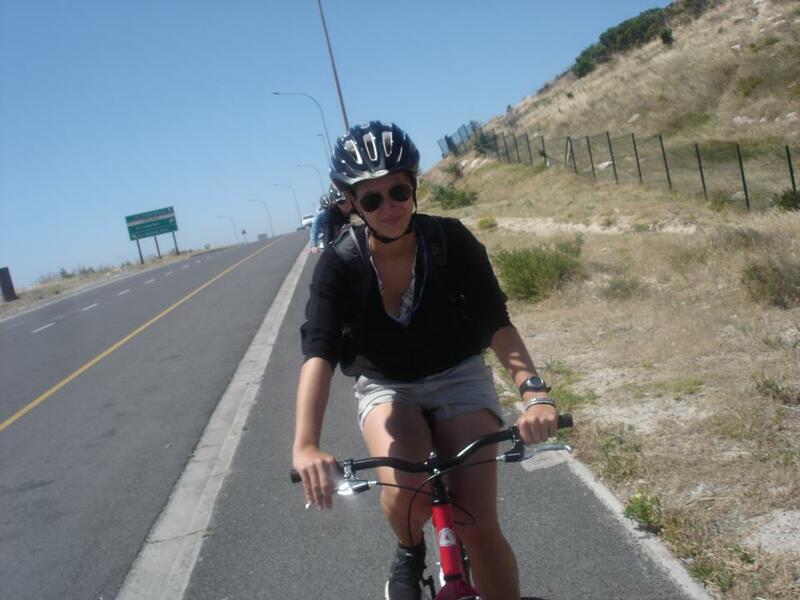 The Tour For unique sights, sounds and culture, pedal your way through Khayelitsha, Cape Town, and experience a safe and exciting way to discover the township. 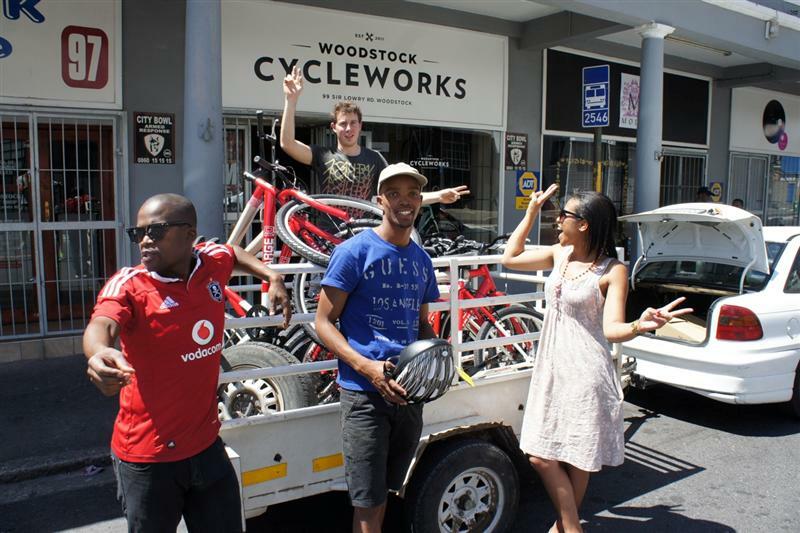 Ubuntu Khayelitsha on Bikes offers a unique tour that provides provides bicycle adventurers the opportunity to visit many of the township’s sites, and gives them the chance to experience part of Cape Town’s local culture.. 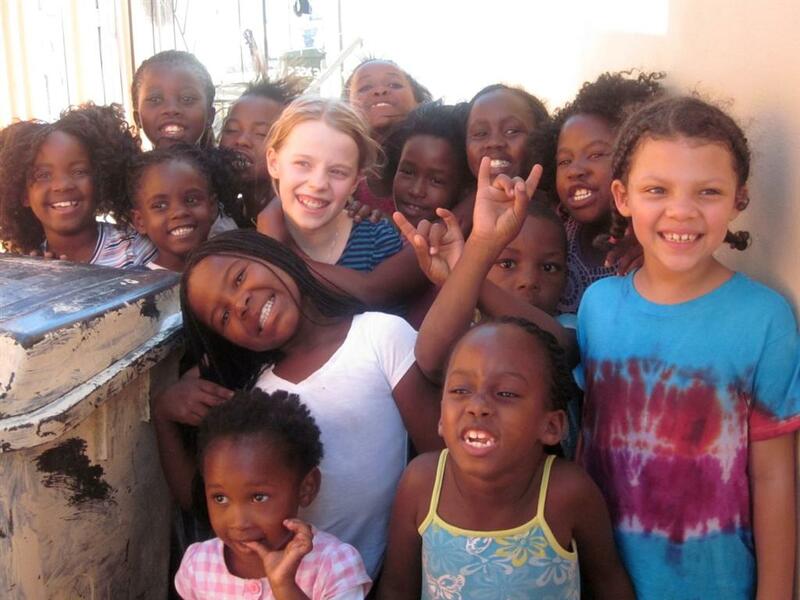 The tour, which caters for up to 10 people at a time, includes visits to various locations throughout Khayelitsha, including Look out hill, the highest point in Khayelitsha, which offers visitors spectacular views of the township. In Nkanini Village, visitors are able to meet locals in their homes. An educational experience at the Khayelitsha Museum allow visitors to delve into the history, political views and policies of the township, while the Africa Jam Art Group, will lighten the mood and liven the spirit through traditional dance and music performances. Visitors end the tour by relaxing and enjoying a barbeque, at local hot spot Groova Lounge. The Bikes Safety is of utmost importance on this tour. Upon arrival, visitors are provided with individually adjusted, fully functional bicycles. Each cyclist is given a helmet, reflective vest, and a whistle to ensure safety, street visibility, and recognition among the group. Social Responsibility Ubuntu Khayelitsha on Bikes is not only about fun, the organisation gives back to the township by providing employment opportunities for a community that has seen hardship. Loyiso Damoyi, founder of the tour explained: "Khayelitsha is the second-largest black township in South Africa and has a lot to offer. Still, there are only very few visitors. My idea is to introduce a part of the Cape Town area as a place where life may not be easy, but certainly hopeful and colourful!" Tour Infos The tour includes transportation from Cape Town city centre to Khayelitsha’s Look Out Hill and back. Upon request, and depending on the size of the group, individual pick up from hotels can be arranged to accommodate the needs of bikers. 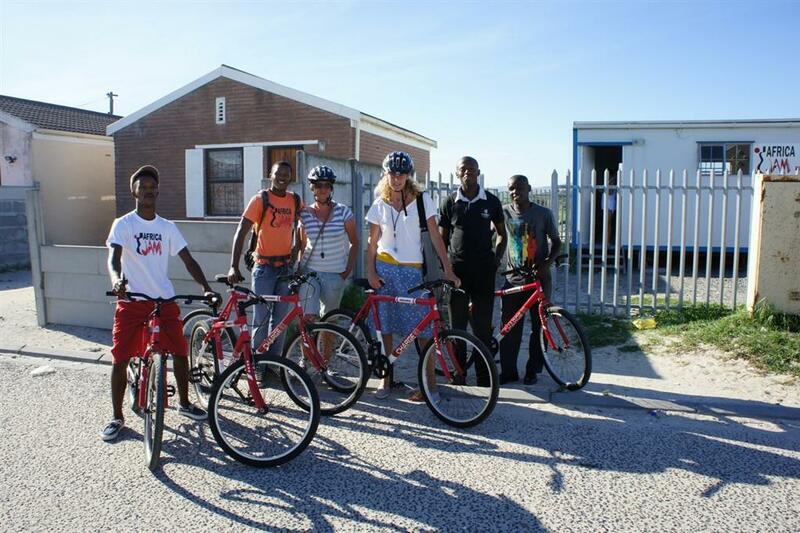 Ubuntu Khayelitsha on Bikes is unique way to explore a landscape and culture that otherwise may go unseen. 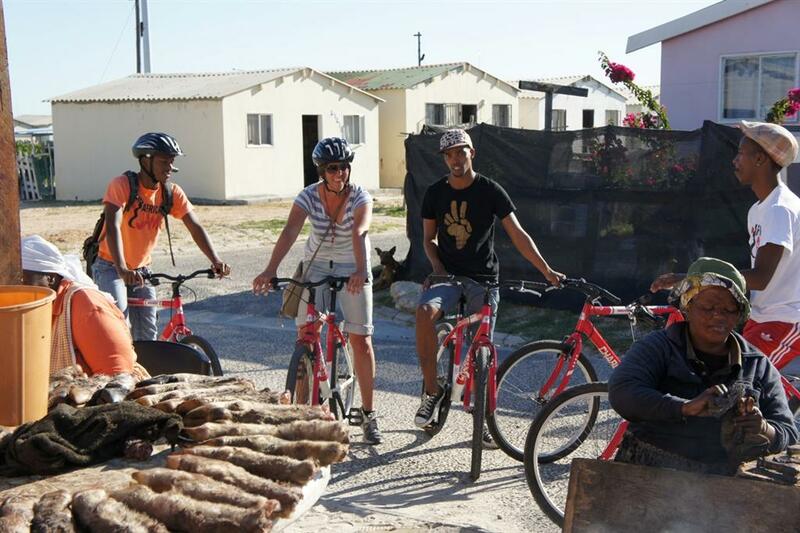 Whether young or old, Ubuntu Khayelitsha on Bikes is a safe and fun way to explore a new culture and landscape - and will surely have visitors coming back for more! Tours cost R250, €25 or $33 per person - transfers, meals, and tips are not included. Tours are conducted in English.